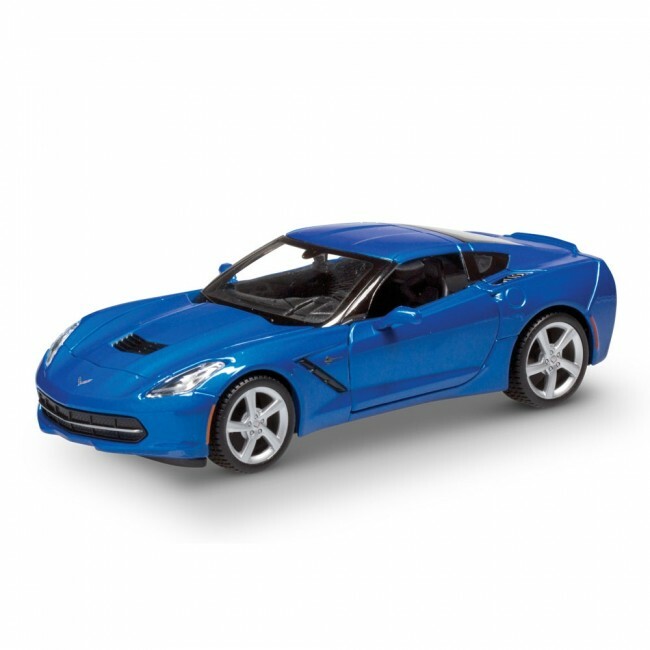 1:24 Scale C7 Corvette Stingray Special Edition model car by Maisto. Made from die cast metal with detailed plastic interior featuring the Stingray's competition sport seats. Opening doors and hood with engine detail.